There’s no mystery in the name – you can probably guess what any towel warmer on the market is aiming to do. These bathroom appliances first entered the bathroom appliance scene as far back as the mid-1800s. It started with the invention of the radiator, a heating method that warms a room by pumping hot water through pipes. In cold winters, it was quickly discovered that placing a towel across the radiator made it warm and ready to receive you after a bath. 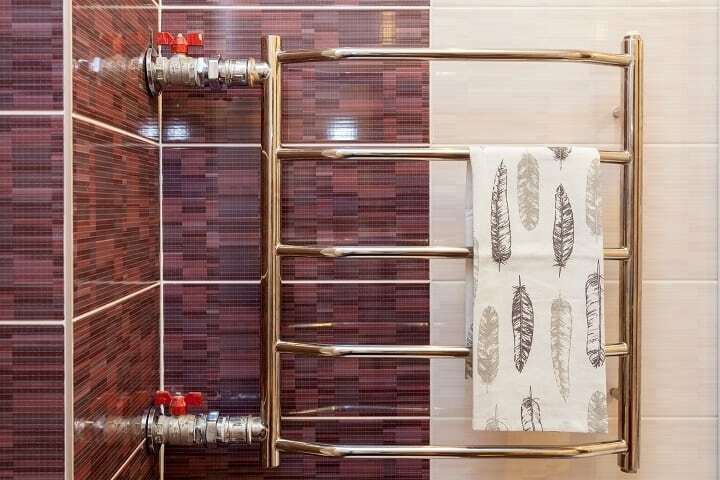 Of course, this innovation presented an extreme fire hazard – it’s no doubt that at least several bathrooms fell victim to towel-fueled fires before the development of the first towel warmer in the 1900’s. Today, these bathroom appliances have moved from functional makeshift contraptions to quality bathroom accessories. 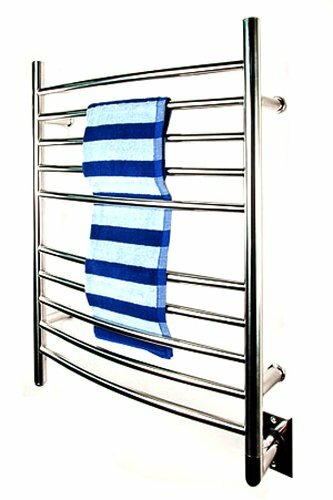 Coming in wide variation styles, a quality towel warmer is now capable of becoming a reality for anyone wishing to make their bathing experience a little bit more luxurious. Have you ever slipped on a sweater fresh out of the dryer and enjoyed the enveloping warmth and comfort? Like a fresh towel from a dryer, towel warmers make a toasty towel available at your disposal the second you step out of the shower. Especially in the winter, nothing is more satisfying than exiting a hot bath to a hot, clean towel. It is perhaps the best way to bring a little bit of spa-luxury into your day-to-day life. Though we call them “towel warmers”, these appliances aren’t limited to towels. They can also heat ankle socks, robes (like any of these best robes for men), or any other clothing item. Additionally, they can be used to dry material such as bathing suits in particularly humid or wet climates. Some models of towel warmers also serve to slightly increase the temperature of your floor tiles and the bathroom, which makes for a more comfortable bathing experience, especially in colder months. While the most common time to use a towel warmer is directly before a shower, they’re also great for drying a towel after you’ve bathed and soaked it. Drying your towel with a warmer has the added benefit of preventing mildew and mold, which is especially helpful in humid climates where a towel may not otherwise dry completely (especially if used regularly). In this sense, towel warmers are not just convenient luxury items, they’re also extremely sanitary additions to your bath cleanup and preparation routine, along with cleaning your shower using a durable shower squeegee and appropriate cleaning products. 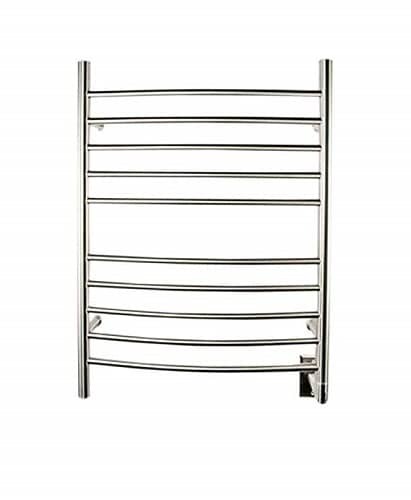 Besides their practical function, towel warmers also add a bit of style and luxury to your bathroom decor. Often crafted with beautiful, high-quality metal, these appliances are not just a fancier, more luxurious alternative to a towel door hook or standard rack, they’re also generally more attractive, sleeker, and trendier. 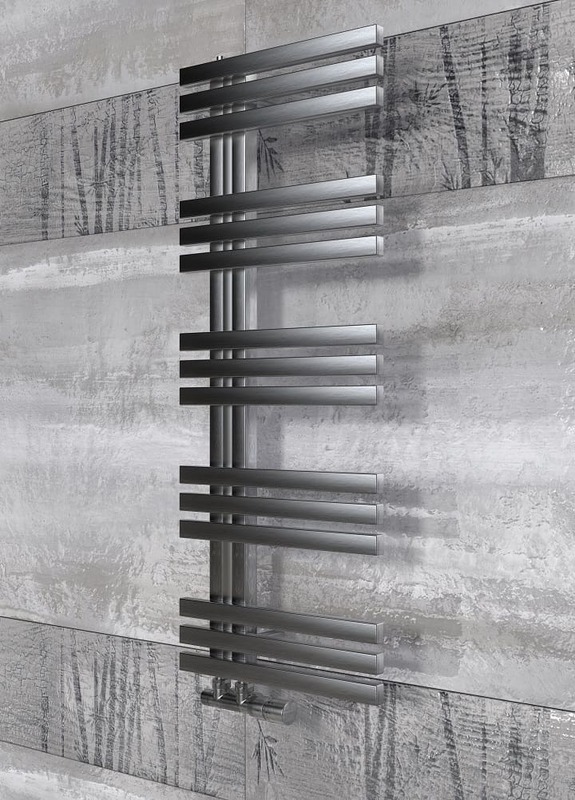 Although you might not ever have the money to renovate your bathroom into a full spa, a towel rack is a great way to implement the style ideals of a high-quality spa experience. No one likes to shiver, and not even the best home slippers for men will keep you entirely warm when you step out of the shower. Perhaps the most obvious benefit of a towel warmer is that it keeps your tush toasty after bathing. Especially in extreme weather, it can be almost impossible to exit the haven of a steaming shower and enter the harsh, cold world. With the help of a towel warmer, instead you get to look forward to curling up into a comfy cocoon while you dry yourself, warm up, cleanse your face with a face wash for men, and finish your morning routine. Of the major classifications for towel warmer designs, there are currently two major options. One heats the towels using a contained heating source and insulated chamber. The other distributes heat to a hanging towel by means of a metal bar. Here’s the breakdown of both types and what you can expect from each. 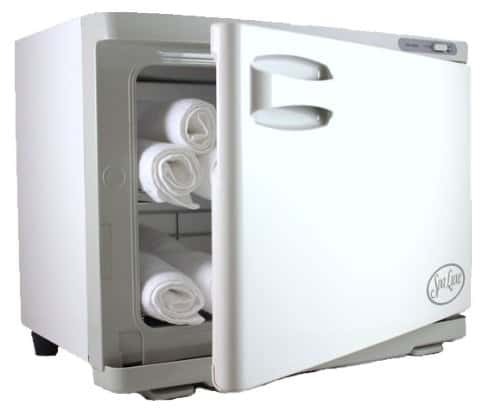 Cube and canister towel warmers are closed-off, sealed containers that heat up internally to warm a towel. Because these are contained and insulated, they’re generally better at heating towels faster and keeping them toasty longer. Additionally, their freestanding design lends itself to portability, which is great if you ever plan on re-doing or rearranging your bathroom, or if you have a lake house you’d like to take it to on the weekends, etc. The downside of cube and canister models is that they can be less attractive. Normally, they have more in common with a laundry hamper or waste basket than they do a luxury appliance, and they take up much more room in the bathroom than their bar-model competitors. Lastly, these designs are less versatile than bar models, because they are created specifically for towels and cannot be used with much of anything else. 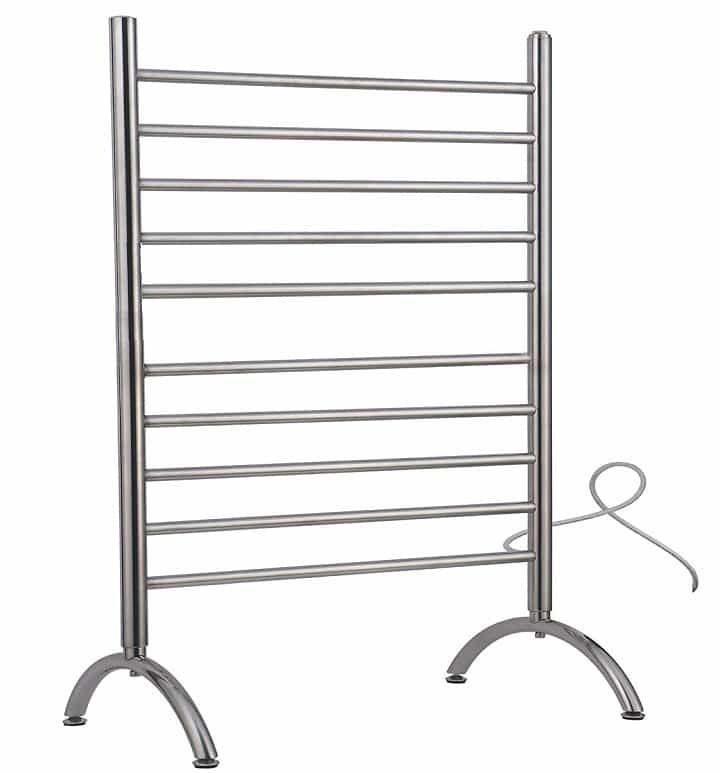 Towel warmers with a bar design use both horizontal and vertical bars to distribute heat to its limbs. They can be either wall-mounted, free-standing, or convertible options which do both depending on your preference. While wall-mounted units may take up less space in the room itself, it will also be inevitably harder to install than it’s portable competitors. Alternatively, free-standing bar units have the added bonus of portability, but may take up slightly more floor space and even get in the way. One upside of the bar model is that it heats your towel evenly, while canister and cube models normally require you to roll or fold your towel, which can create cool patches. There’s more than one way to warm a towel. Here are the differences between your two major heating method options, and what you should consider before choosing either one. 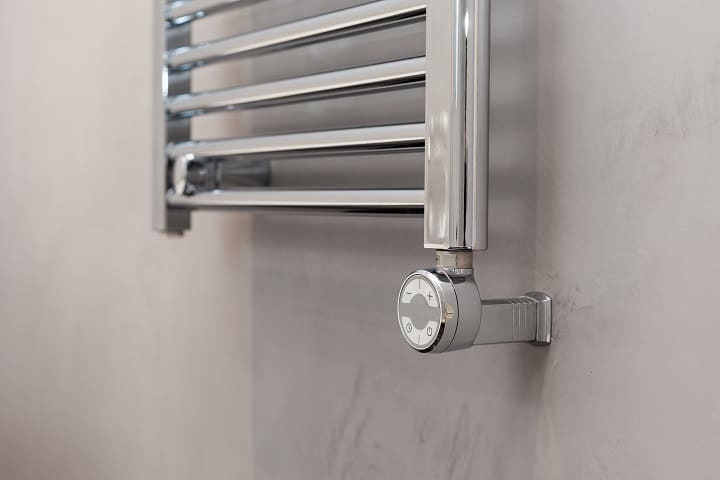 As the most energy efficient option, hydronic towel warmers distribute heat using the circulation of hot water through pipes. Though these models are definitely more “green”, they also tend to be a little more expensive as they require considerable modification to install. This sometimes includes tearing out parts of your drywall, tapping into your home’s plumbing, and other drastic measures. For these reasons, their installation of hydronic towel warmers is often too much of a hassle for some homeowners. Additionally, hydronic warmers are in no way portable. If you move homes, the investment you made in your hydronic system must stay put. Electric towel warmers come in both canister, cube, and rack forms. Normally, these products plug into your bathroom’s standard electrical outlet and use the home’s main power source to create heat. Electric heaters have the added bonus of being portable, as long as they are not wall-mounted models. For these reasons, most towel-warming appliances on the market today are electrically heated rather than hydronic. 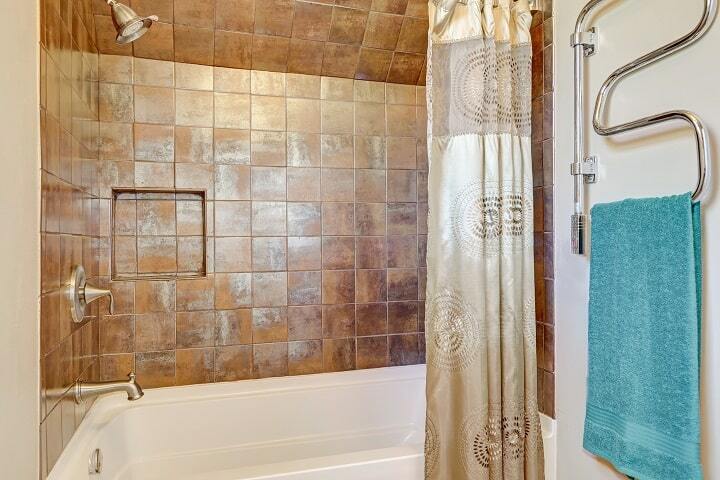 Unfortunately, towel warmers aren’t one-size-fits-all. When it comes to making your selection, you’ll need to consider a multitude of factors such as installation method, design, size and overall style (just to name a few). You’ll want to think about what your own needs and desires are, and how those align with the limitations and requirements of the space you’re working with. It doesn’t matter how high-quality your towel warmer is, if it doesn’t fit in your bathroom then it’s not going to do you much good. This is where the dimensions of the unit you choose comes into play. For example, if you don’t have much wall space, you should opt not to go with a large wall-mounted unit. Be sure to always measure your available space and take into considerations the products dimensions in order to decide realistically if the model you’ve selected is going to fit the needs of the space you have. Additionally, the size and dimensions of your ideal towel rack might be determined by how big your towels are. Pro basketball players like Michael Jordan use bigger towels than the rest of us do, which consequently calls for a larger towel and hence, a larger towel warmer. Don’t laugh – it’s logic. The size you select will also depend on how many people are in your family and how many towels must fit on the rack. If you’re the type of person who has ever burnt a pizza in the oven or forgotten the popcorn in the microwave, you’ll definitely want to invest in a towel warmer with an automated on and off switch. Besides the fact that it’s convenient, it’s also much safer. It’s okay to be forgetful, we know you’ve got a lot on your mind! However, leaving a towel on a high-powered heating rack with no automated off mode can be hazardous. While there are towel warmers that are designed to be left on 24/7, appliances with automated switches conserve energy by shutting off on their own. Portability is important especially to those avid-traveling, wanderlust lovers of luxury. If you have multiple homes or even just multiple bathrooms in a single home, you might find yourself wanting to tote your towel warmer from one floor to the next. If that’s the case, you’re probably looking for a portable, lightweight model that can be moved without hassle or drama. That way, you make sure you don’t end up at the bottom of your staircase with a behemoth of a towel warmer on top of you, crushing your ribs. The good news is that some products are extremely compact, weighing as little as 5 lbs. Weight is a primary factor especially for portable, free-standing units. If you’re going to be moving your towel warmer often, you might want to select a lightweight model that won’t break your back. However, weight also comes into play with wall-mounted products, but for a different reason. Models usually range somewhere between 5 lbs and 10 lbs, with the average weighing about 9 lbs. If you plan on fastening your towel warmer to the wall of your bathroom, you’ll want to investigate what type of wall you’re drilling into when you place it. Flimsy drywall, for example, may not be capable of holding up an extremely heavy towel rack. Unfortunately, not everyone has a mountain of cash to burn on a single-function appliance like a towel warmer. Products generally range from as little as a couple hundred dollars to as much as $3,500 for some of the market’s big-budget options. Generally, you can buy a middle-of-the-line item that gets the job done for around $190. However, if you’d like more bells and whistles, get ready to shell out a little bit extra. Especially in the winter months when energy bills skyrocket, wattage becomes a concern. High-powered, high-watt towel warmers will definitely keep your terrycloth warm and toasty, but it will also fry your bank account. Just remember: the higher the watts, the bigger the bill. 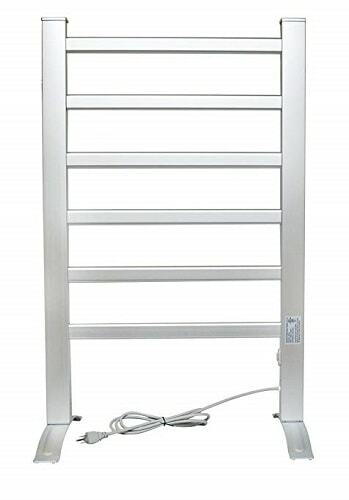 Towel warmers can range from a modest 40 watts to a whopping 450, with a wide variety in between. The trick is selecting a model that’s going to get the trick done with the least amount of power. Patience is a virtue, but no one has time to piddle around in the shower and wait for a towel to warm. Unless you’ve purchased a model that remains on at all times, you probably want an appliance that heats quickly and efficiently. Heating times are going to depend largely on the appliance style you’ve selected, its heating method, and the thickness of your towels. Some models can have a towel toasty in a mere 10 minutes, which is great for rushed morning speed showers. Alternatively, some products can take as much as a half hour to warm, which is more time than you would need to wash your hair using a natural hair shampoo for fighting dandruff, scrub your teeth with this best toothpaste for bad breath, sing all of Bohemian Rhapsody, and use an entire bar of soap for men in the shower. Of course, it’s fine if you don’t mind remembering to turn the heater on well in advance, but it’s just not as ideal. While your primary concern with a new towel warmer should be its function, it would be ridiculous to give no thought to a model’s overall appearance. Aspects like a product’s style and color will inevitably have an impact on your bathroom’s design and feel, so you’ll want to pick a product that embellishes and improves your bathroom decor rather than clashing with it. For example, if your faucet and shower head are both stainless steel, it might make sense to select a bar-style towel rack that has a matching metal. At the very least, the product you select should fit neutrally with elements of your bathroom such as the shower curtains, tub color, faucet finish, and sink. 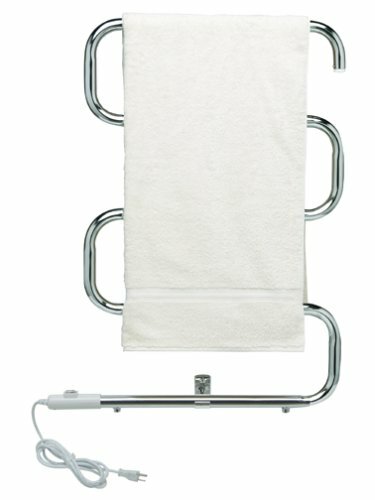 Does your towel warmer need to be able to heat towels for the whole family, or just yourself? Container and cube warmers generally fit two towels, while bar models tend to have between four and eight rungs to hang fabric on. Even if you live alone, you should probably consider a towel warmer with a capacity of at least two. Who knows, maybe you’ll find love. Otherwise, Mom can use it when she comes to visit you. Brookstone is designed to warm your towels fast and has a very nice container capacity that can easily fit a few bath towels. You don’t have to worry about folding the towels before placing them in the container. Even if unfolded, they’ll still get fully warmed, given that this product heats them from the outside. Unlike most similar products in the market, this one allows you to throw in up to two oversized towels and takes less than 10 minutes to heat them. It can also keep your towels warm as you shower. Designed with the right weight for your year-round use, it also features a transparent lid, a satin trim accent in the collar and cuffs. Practical and well designed, LCM Home Fashion will dry and keep your towels warm while you shower. It also draws less power which makes it very economical compared to its competitors. It only uses about 105W and can achieve an optimum temperature of 122F in 30 minutes. It comes with a six-foot cord engineer with a dry line power for each. The frame on which you hang your towels is made of aluminum and brush chrome with a nice plated finish to promote effective heat regulation that’s suitable for warming. A minimal assembly involving wall mounting brackets or alternative freestanding feet is needed before you start using this product. For usage simply hang your towels on the frame and switch on from the power outlet. 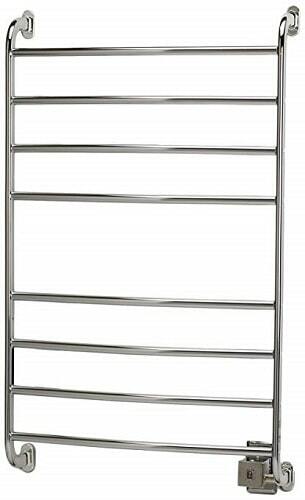 Once you have the perfectly designed Warmrails HSKC Kensington Towel Warmer, you won’t need a dryer because it’s able to keep your towels dry, warm and fresh on its own. Most people love it because it uses less power, you can hang more than one towel on the frame and get them all nicely dried at the same time. For effective heat retention and transmission, the frames are lined with a nice chrome finish. Besides towels, you can also hang your delicate hand washables, baby blankets, beddings and swimsuits to get them amazingly dry. 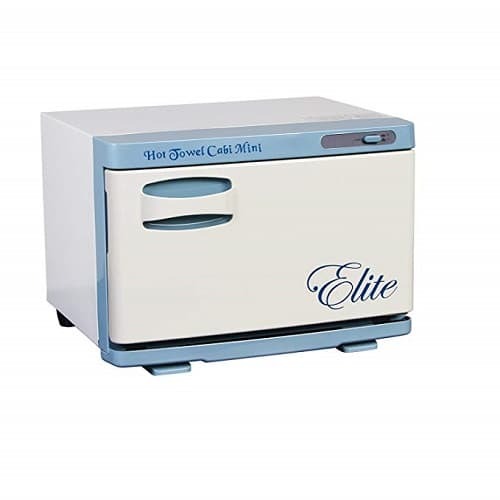 Elite Hot Towel Cabinet has been designed to heat your towels nicely and is also compact enough to be placed wherever you want it to. Depending on how fluffy your towels are, it can take in 4-6 of them at a time. It’s also spacious enough to hold up to 12 facial sized towels or wash clothes. A well-fitted internal temperature control it comes with prevents the unit from overheating and burning your towels. For effective and consistent heating, the cabinet is perfectly insulated with a padded heating element that surrounds all the internal walls for proper heating. It warms thin towels much faster and can take up to 30 minutes to dry and warm them. Its unit doesn’t depend on bulbs to heat which is great because bulbs can burn out and don’t provide sufficient temperature for dry or warming. Designed to heat pretty fast and get your towels toasty warm in minutes, Amba RWH-CB Radiant Towel Warmer is the best you can ask for. It’s designed with vertical and horizontal bars that provide sufficient heat for optimal warming and drying. The bars form a frame that’s very stylish and looks great on the wall. All of them are made of stainless steel hence they are corrosion free and long lasting. This item is also designed with an on/off switch amp and can give a temperature that reaches up to 149 degrees Fahrenheit. The crossbars leave more space for you to hang more towels. They can, however, be too hot and it’s, therefore, advisable that you be cautious when removing them. Most users agree that nothing can heat and keep moist towels nicely warm and steamy better than Spa Luxe Hot Towel Cabinet. If you’re running a manicure or a massage business, this product will work great for you. It can hold up to 24 regular manicure-sized towels and it gets them super hot within 20 minutes. For consistent heating and warming of your towels, it’s able to maintain the same temperature of approximately 160 degrees. The design features a cool looking, natural color and it also has an under-mount drip tray and two perfectly placed shelves. Want to step out from bath or shower to a dry, warm and comfortable robes or towels? 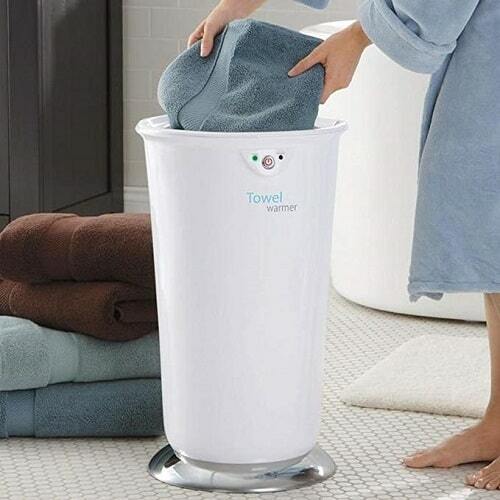 If that’s the case, then HOMCOM Towel Warmer is all you need. It’s very economical since it only draws 70W, which makes it very affordable in terms of the price. It has a design that features a free stand with a sizeable 4-rack drying space that allows you to warm up to 22lbs of bathrobes and towels at the same time. The ultra-lightweight design enables you to carry it easily around your home. You can safely and comfortably operate it. It comes with a safety promoting cover with an on/off switch which is fitted with a light indicator to show you when the warmer is on and heating up. 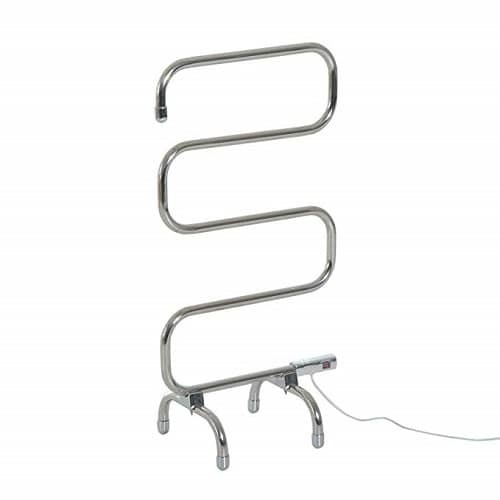 Greatly designed, Warmrails HCC Classic Towel Warmer is ideal for keeping towels warm and drying them faster compared to other similar items in the market. Other than towels, you can quickly dry and warm your fine beddings, baby blankets and even swimsuits. It’s ideal in preventing your towels from getting musty and funky especially during winter. With a fantastic design that features a good-looking chrome finish, this product is excellent at heat retention. It also comes with a wall mount, a floor standing option and a 7-power cord with a grounded plug. Its power consumption is also low since it only draws about 75 W. You can, therefore, keep it on for long and get more towels dried without any worries. Amba RWH-CP Warmer is perfectly designed with horizontal and vertical bars that produce sufficient heat for your towels to dry and stay warm. The ten crossbars are designed to facilitate optimal drying. They are also durable, due to the stainless steel materials that make them tarnish and rust resistant. This item is also designed to dry and warm faster and still consume less energy. That being said, it only uses 150 W.
It’s very easy to install and use it thanks to the inbuilt on/off button that allows smooth operation. Designed to draw only 105 W and give enough heat for warming and drying, Knox Towel Warmer is both economical and performs great. It’s very convenient for keeping towels and your delicate swimsuits, baby blankets and beddings warm and dry and can be used in both bathrooms and laundry rooms. The design features an aluminum frame and a good looking chrome finish. The frame can hold more than one towel and keep them nicely dry and warm at the same time. Designed to eliminate mold or mildew growth, this product helps prevent fungus infections that can happen when you’re using a towel that’s not well cleaned and dried. Amba RWP-CP Warmer for towels is thoughtfully designed to heat up quickly and make your towels and other delicate clothing nicely warm and dry. Besides the high performance, it’s also long lasting and made of stainless steel to prevent rust that can leave annoying marks on your towels. 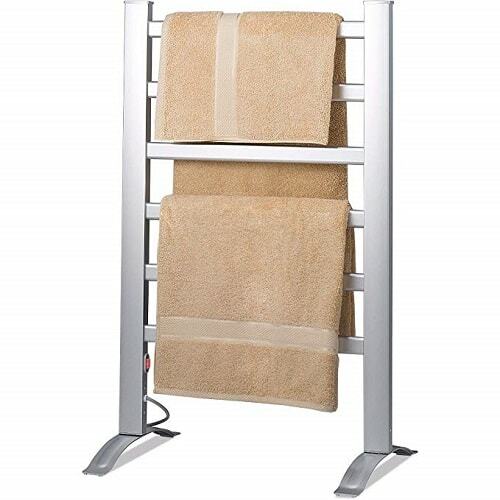 It has been fitted with ten crossbars that enable optimal drying of your towels. All the horizontal and verticals bars can provide enough heat suitable for drying. You can easily operate this item since it’s built with easy to locate on and off button. Container and cube models sometimes have a drip tray that needs to be emptied and wiped down to prevent mold and mildew. Additionally, it’s a good idea to open the lid of your towel warmer and let it dry periodically. To clean the inside, use a standard, gentle detergent and a little bit of warm water. Without wetting the interior too much, wipe down the sides and bottom. Then, be sure to dry it completely before closing it back up—again, this helps prevent the onset of mildew or mold. Because bar model towel warmers aren’t sealed up like their contained competitors, it’s generally a bit easier to keep them clean and tidy. However, occasionally your unit might become splattered with water droplets or a bit dusty. The solution is simple. Just get a damp cloth and wipe it down. No chemical or cleaning product is necessary, as these can sometimes damage the metal’s finish or even become harmful as it reacts to the heat. Besides, when a towel rack heats to warm a towel, it also kills any potentially harmful bacteria, eliminating the need for chemical disinfectants or other similar products. If you want to purchase a wall-mounted unit, you’ll need to install it by following the product’s directions and the appropriate tools. Find the ideal location in your bathroom. Ideally, this will be near an outlet and far enough away from any water sources or potential obstructions. Next, position the rack, making sure that the bars are perfectly level before you start drilling or fastening. Then, use a drill to create the holes necessary to fasten the towel warmer to the wall. Next, follow the manufacturer’s instruction on hooking up the electrical connectors, whether it be through the wall or through the main power source. Lastly, using the screws and any washers included in the product’s packaging, screw the unit to the wall, making sure that it is sturdy and secure. Hydronic units are by far the most complicated to install. Because a hydronic unit must tap into your houses water supply in order to function, installing it requires a specific skill set. Because these tap into your home’s central heating system, fiddling with the installation of a hydronic unit if you’re not a trained professional can have extremely destructive consequences. In short, always call in an expert if you have a hydronic towel warmer you’d like placed in your home, and never try to do it on your own. These are easily the most straightforward units to use as they require essentially no installation whatsoever. Most times, you can simply unbox your product, set it up, and plug it directly into a wall outlet. How long does it take to dry a towel? The answer to this question depends entirely on the model’s design and wattage. Most products claim to have towels warmed up and ready for use in as quickly as 10 minutes, or as much as 30. Sealed canister or cube models retain heat better than traditional bar designs, so these types may be more efficient at heating quickly and holding warmth. Should I leave it on or turn it off? While some models are designed with the capability to be turned on and left on, it does inevitably use more energy. 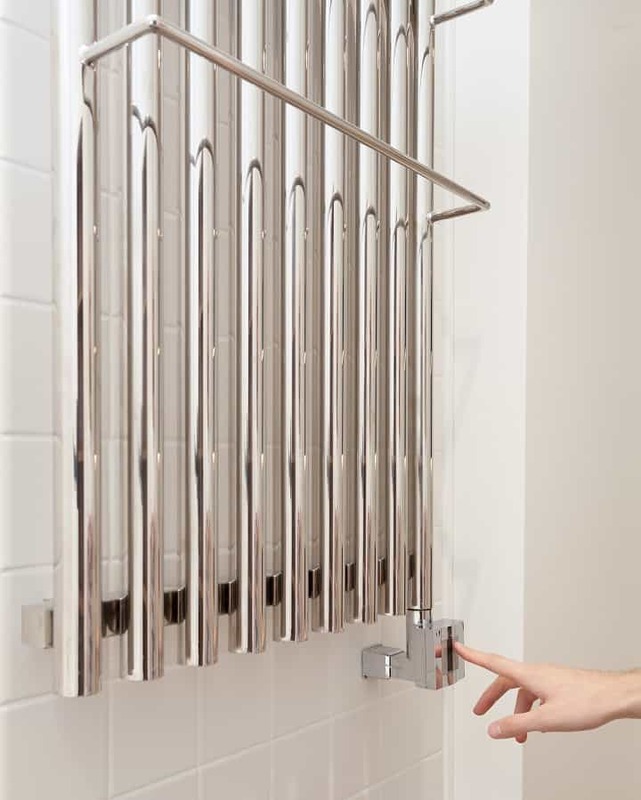 Some towel warmers include internal thermostats which minimize energy waste by stabilizing the heat production, but the truth is that not all models are made to be left on constantly. To answer the question of whether you should turn your unit off or leave it on, consult the manual of the product you’ve purchased, as well as considering your energy consumption priorities. It’s called a towel warmer, sure, but these appliances can also serve to warm floor tiles and the room in general. 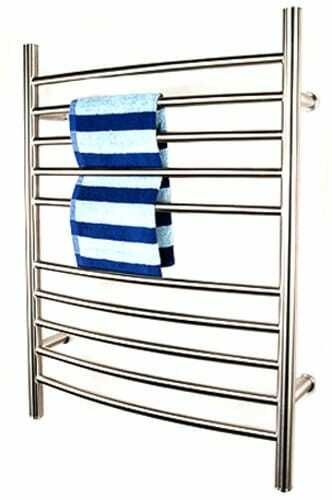 Working much like a radiator, a higher-powered towel warmer will also respectively warm your bathroom air, albeit slightly, which raises the overall temperature to a warmer, more comfortable degree. Additionally, towel warmers can be used as a drying alternative to both machines and air dryers. Especially in wet climates where air drying is inefficient, these can be used to dry just about anything from swimsuits to rain-soaked t-shirts. Does a towel warmer heat a bathroom? Yes and no. Your towel warmer alone probably won’t heat the bathroom enough to be comfortable running around in your silk boxers alone, but it will definitely provide some additional heat. What’s most likely is that the heat radiating especially from free-standing models will work to warm the tiles of your bathroom, which makes the room feel significantly warmer in general. It’s the comforts in life that make each day a joy: munching on your favorite snack, listening to a band you love, wearing your favorite pajama pants or wrapping yourself in a warm towel after a hot shower. In cases like these, a little bit of luxury can go a long way. When you add a towel warmer to your bathroom setup, you add warmth and comfort to your daily life. Throw in some candles, a memory foam bath mat, exfoliating scrub and a nice face moisturizer for men and you’ll nearly have a spa in your very own home. Photos from: iriana88w / depositphotos.com, rjlerich / depositphotos.com, brizmaker / depositphotos.com, lindamka / depositphotos.com.